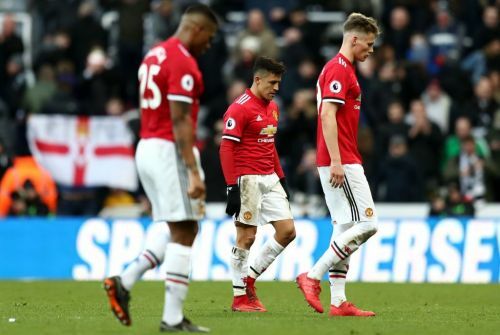 Jose Mourinho summed it best - "Newcastle’s players gave the sacrifices all managers like to see. Were they lucky? Yes. But sometimes you deserve that luck. They fought for their lives and that’s a beautiful thing in football." - as he succumbed to the curse of St. James Park. In seven attempts, he's yet to win a football game at the home of his great mentor Sir Bobby Robson. Rafael Benitez's men catapulted themselves to 13th while Mourinho's lot have allowed Liverpool to creep up behind them - the gap a mere 2 points now. Oh, and City just need 18 points from 11 to win the league. At a canter. 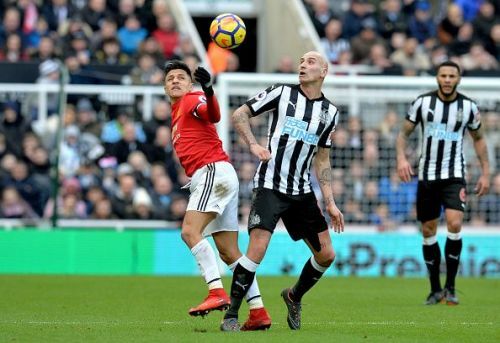 Most times it's infuriating watching Jonjo Shelvey play football - he can oscillate between the sublime and the utter crap in the space of two passes, and his rashness has often cost his teams valuable points. Today, though, he dominated himself - playing sensible football within his capabilities (which are not inconsiderable, by any means) and controlling the tempo of Newcastle's attacks while helping the brilliant Mohamed Diame keep the Magpies' defensive shape. Ever since Benitez moved Diame further back into central midfield, Newcastle have looked a more solid side; and he'll have absolutely loved this performance from his midfield duo.